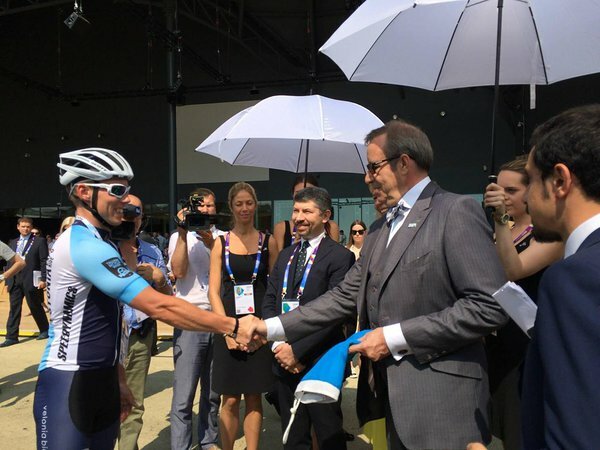 June 7th was the most important day of our trip: Estonian National Day at Expo Milano and also the day we handed over the Estonian flag that had travelled with us 750km through Italy to our president Toomas Hendrik Ilves. 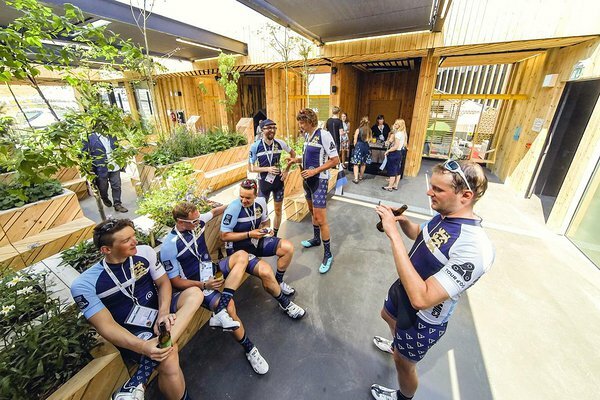 As soon as we entered the Expo area, we were approached by some strangers, also visiting Expo for the first time, cheering happily and showing us pictures of us cycling in Italy (apparently they were following our ride on Facebook and Instagram. Well, that was a great start, we thought. It was a nice feeling to realise that people could recognise us and were really interested in what we were doing. After taking some more pictures with our fans we headed to the Estonian Pavilion, our home for the day. We were warmly welcomed and had some time to explore the pavilion, which we only had seen on pictures before. 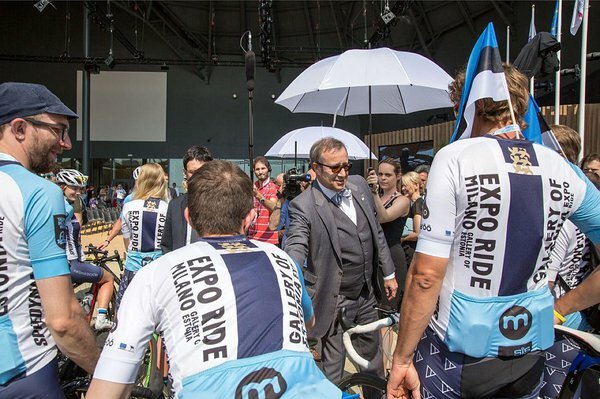 After getting our final instructions on the Estonian National Day ceremony with the President, being very excited, we started cycling towards the stage where we met Estonian President Mr. Toomas Hendrik Ilves. We carried the Estonian flag with pride for the whole trip, through all the sweat and tears, and now it was time to hand it over to the President, officially starting the Estonian National Day. He was happy to see us, and asked some questions about our adventurous ride through Italy and congratulated us for completing the mission successfully. This moment felt so special! 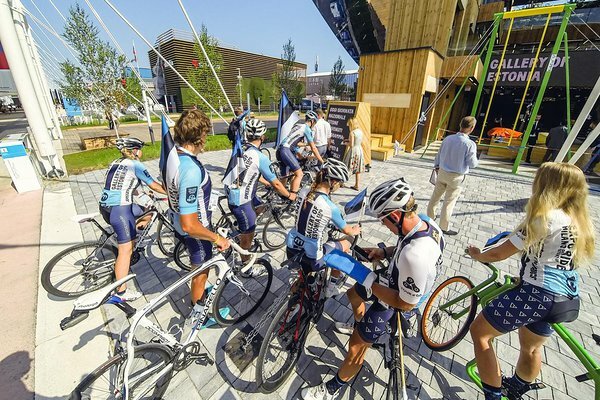 After the ceremony, Estonian delegation walked to the Estonian pavilion, followed by us on bikes. 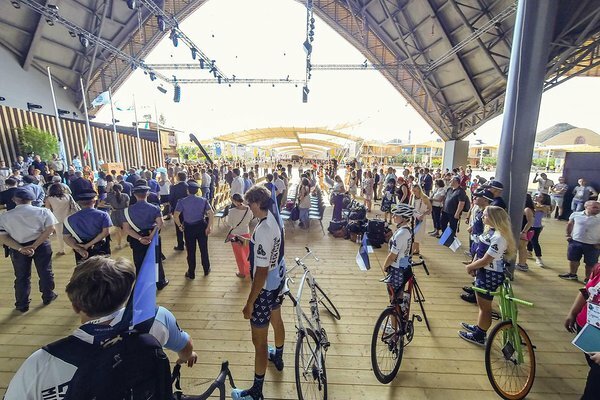 Then we had some time to chill in the pavilion area, socialise with people, take pictures and just enjoy the moment of being part in such a massive event. As there was a big concert and a party to come, we soon went home to get ready for the night. These were our last kilometres ridden in Italy. 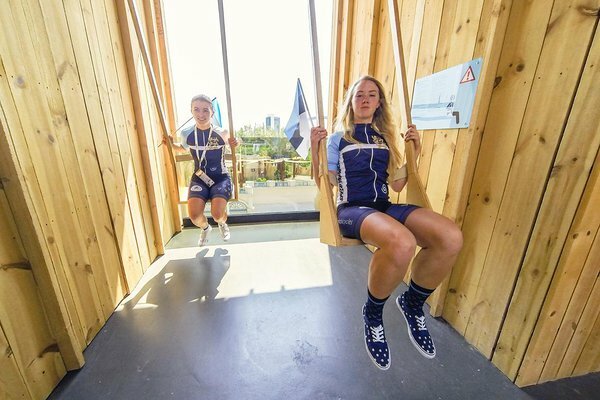 In the evening we were back at the Expo – having no helmets and lycra on felt awkward, but we enjoyed casual clothes very much. Looking casual and good, we were ready for the big celebration. On that night, Estonian pavilion at Expo Milano was a place to be! There were our Eurovision stars Elina Born and Stig Rästa performing, followed by another up-and-coming Estonian band called Elephants from Neptune. Joyful atmosphere and nice people made the evening even more enjoyable. The long and eventful day wrapped up with an afterparty with food and drinks. It was a crazy night, yet the rain and thunderstorm could not ruin our festive spirit and stop the party! Police were unable to understand how Estonians could party all night long, and they gave us a visit once in an hour, but every time we talked thing straight, and party continued till morning. 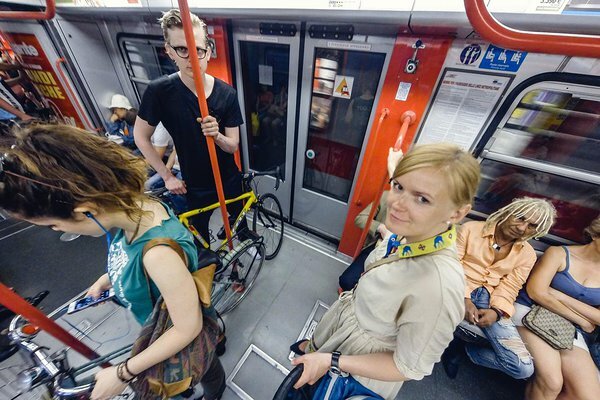 Expo Milano will certainly remember the Estonians as hardly working&partying people.